Tracy Winegar, Triad guest speaker on Aug. 26, explained how Reiki can help tap into the body’s natural capacity to heal itself. Tracy is a certified Reiki Master Practitioner and Teacher associated with The Wellness Place on Warsaw’s Main St.
Reiki (pronounced RAY-key) is an ancient Japanese practice that encourages healing by working with the body’s subtle energies to restore balance and energy flow throughout the body. Increasingly gaining acceptance in the medical community, Reiki is offered by about 15% of U.S. hospitals, Tracy said, as a way to improve patient care, promote faster healing, reduce pain and negative effects of medication, and improve sleep. It’s also useful to improve balance and to relieve stress. 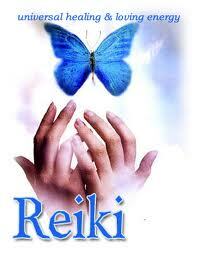 Reiki is based on the holistic medicine principle that the body has an innate ability to self-heal, she said. Its name is a combination of two Japanese symbols: “Rei” for universal energy; and “Ki” for individual life-force energy. If your life energy (Ki) is low, you’re more vulnerable to illness. A Reiki session takes place in an environment similar to massage – you lie on a table, clothed, with lights dim and soothing music playing – but the practitioner does not rely on touch. Instead, the practitioner “scans” the body by placing hands close to or lightly on the body in a series of routine hand positions, to sense disruptions in the energy field. Or the recipient can identify areas where there is pain or discomfort. This entry was posted on September 4, 2014 by jabercrombie702.